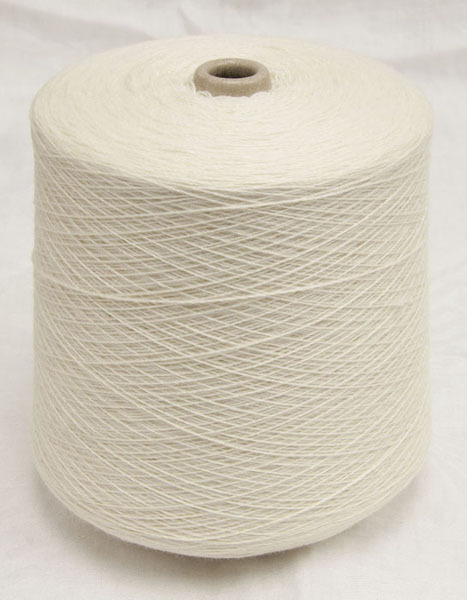 As previously said the principal objective of winding is to assemble many meters of yarn into package form suitable for use in subsequent operations such as weaving and knitting. 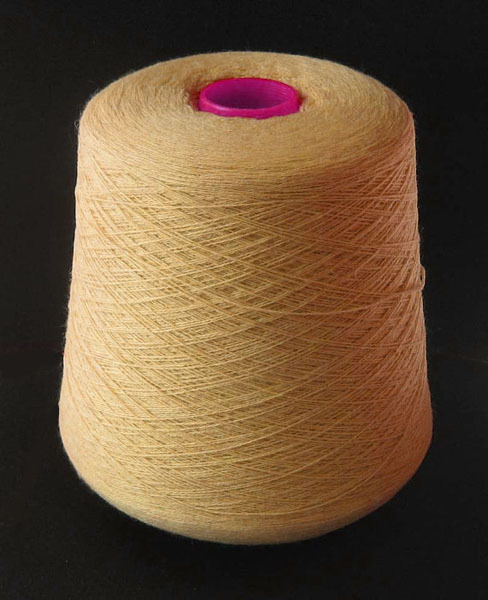 A very common form on which wound the yarn is the cone. 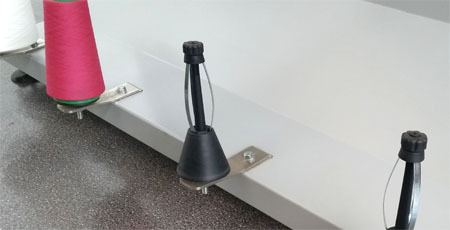 This support is cheap and allows to store a large amount of material in a small space. 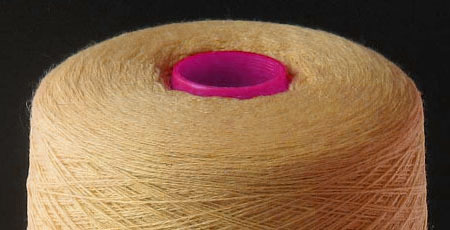 The cone may be in cardboard (cheap and suitable for sales) or perforated plastic (more expensive but ideal for dyeing or steaming). 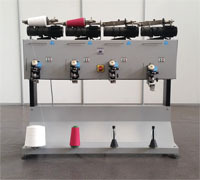 Collaborating with Italian suppliers Ramella is able to provide a compact cone winder. 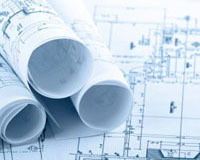 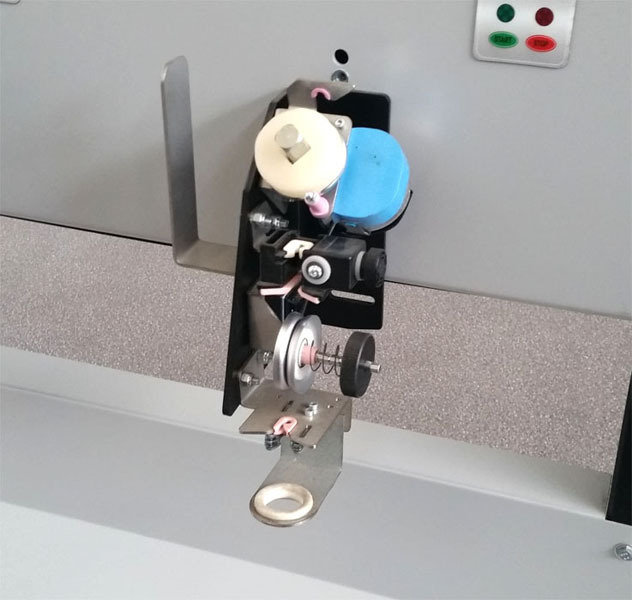 Depending on the required productivity we can offer machines with 1, 2, 4, 8 or multiple heads. 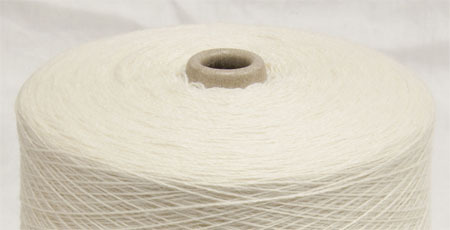 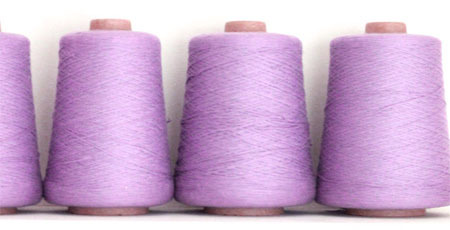 • With mobile thread guide, slower and ideal for thicker yarns. • With grooved roller, very fast and suitable for thin yarns. 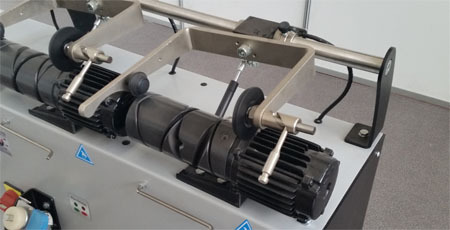 The electric motors of the cone winder are controlled by an inverter. 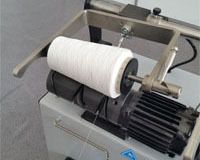 Rotating a knob you can adjust the speed at which the yarn is wound. 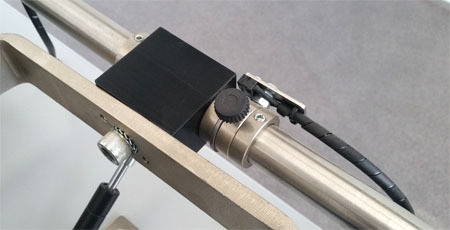 Each head can be activated or deactivated independently. 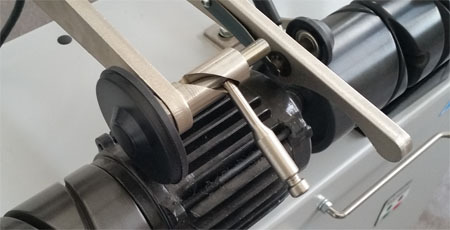 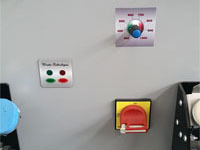 An adjustable magnetic sensor allows to stop the machine when the cone reaches the desired size. 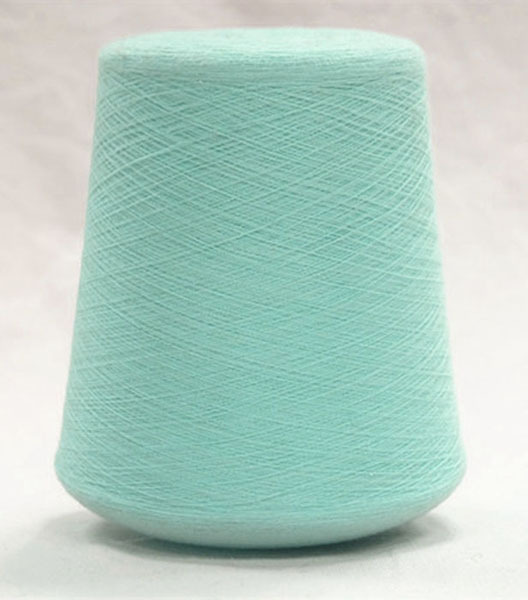 A randomizer device allows you to get a perfect distribution of the yarn on the cone. 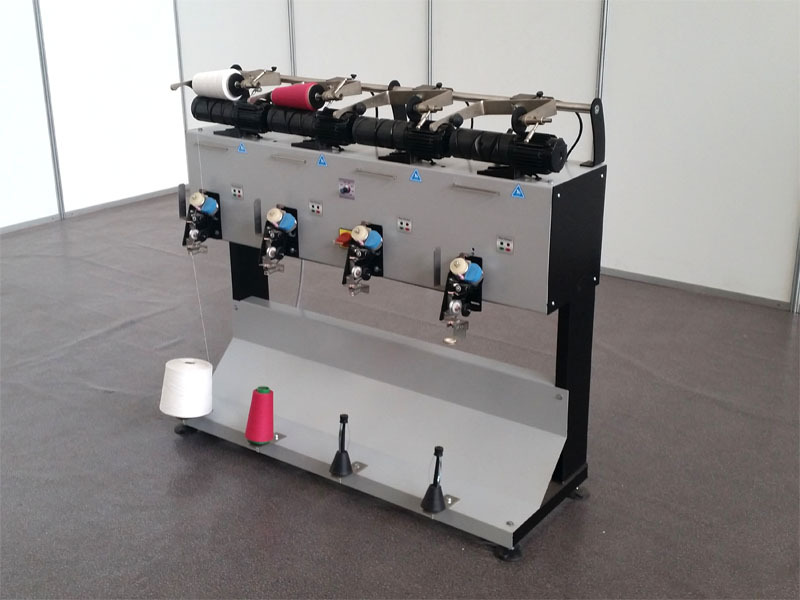 To wind the yarn with the right tension on cone the winder has two adjustable yarn tensioners. 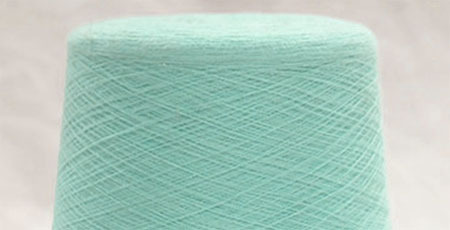 There is also a yarn clearer that breaks the yarn in the sections where there are major irregularities. 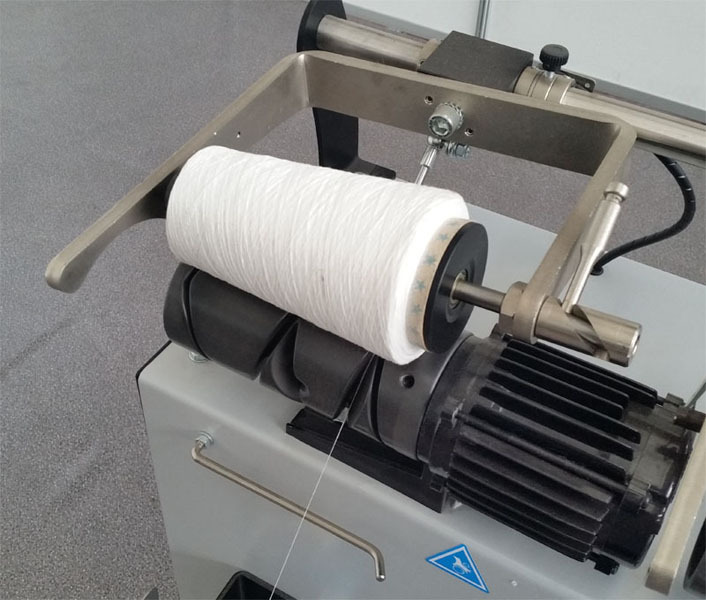 After the diameter control the yarn passes through a waxing device mounted on a small electric motor that ensures an even distribution of the wax on the yarn. 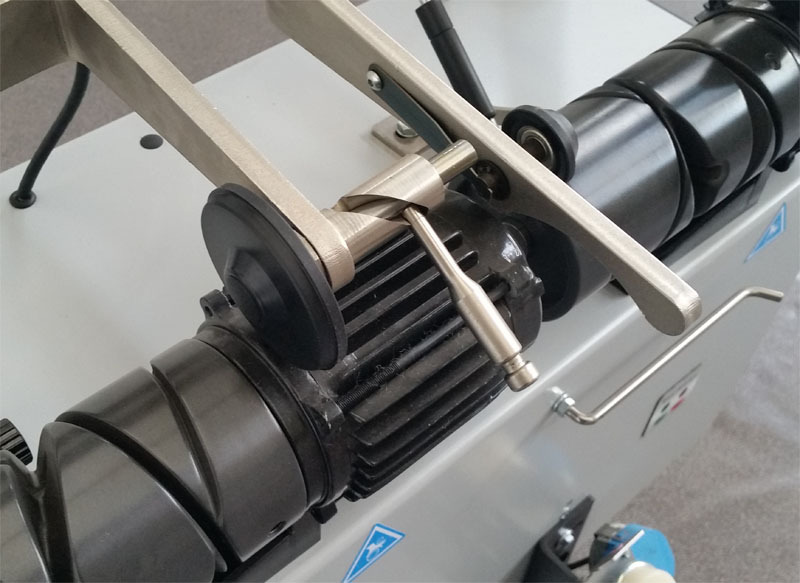 • Grooved roller dynamically balanced. 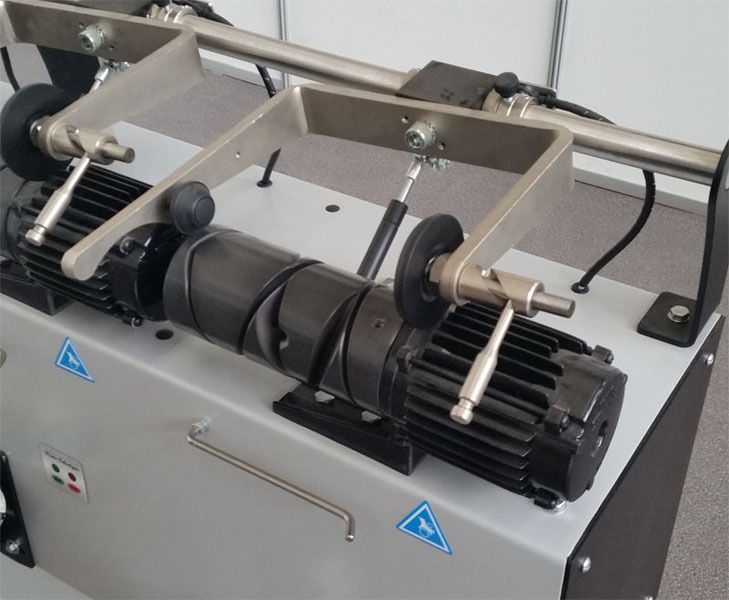 • Independent low-power electric motors that can be used safely. • Counterweight adjustable to change the compactness of the yarn on the cone. 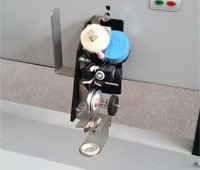 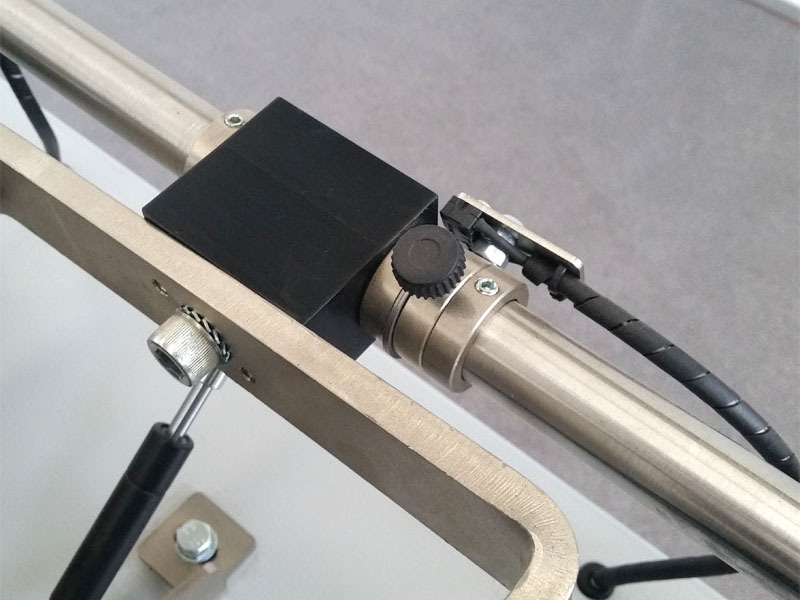 • Top bracket with quick release adaptable to different forms of cones or cylinders. 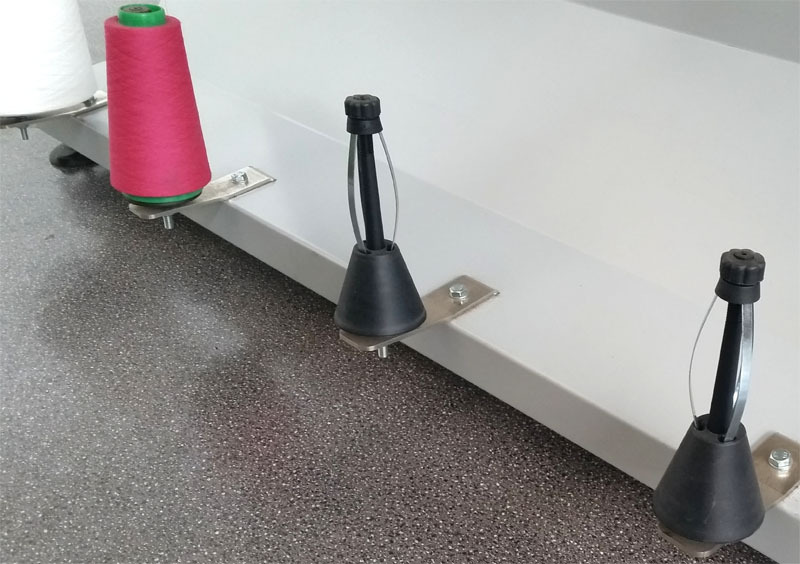 • Lower spring support suitable for all types of tube or bobbins.